Virtual Groundbreaking February 14, 2018. Virtual Groundbreaking February 14, 2018! Between the fast pace of the project and the unpredictable weather we've had this year, we missed out on an official "public" groundbreaking. And of course, now, if you've been by the building site, you know that it's not exactly the safest place to have a large crowd milling about! 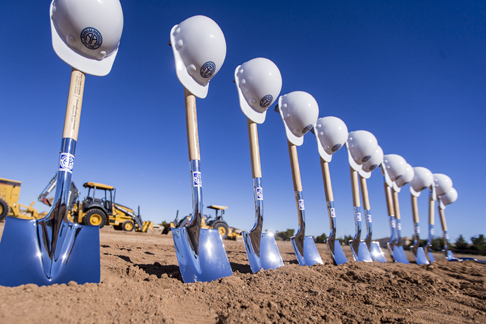 We think it's quite fitting to announce that Valentine's Day, February 14 be designated as our Virtual Groundbreaking! Ceremonies like this usually involve inviting dignitaries and officials from all levels of the city, county and state. We wanted to make certain that these officials know how much we appreciate not only the hard work they do every day, but their support for ours and all libraries around the state, including legislation that makes grant programs like the one funding our project possible. As a way to say thank you and provide a small token of appreciation we decided to show off some of our equipment that will be utilized in our new Maker Space in the renovated building at 201 E. Main. 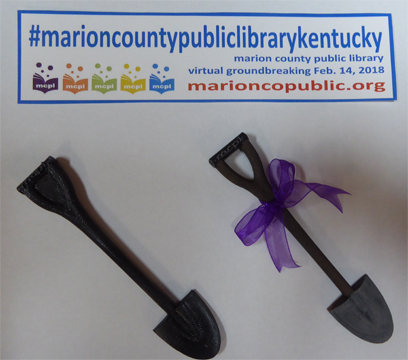 We 3D printed a ceremonial shovel that will be sent to these officials along with a bookmark announcing February 14 as our Virtual Groundbreaking. Get in on the action! We ♥ our patrons! On Valentine's Day, go to our Facebook feed and send us a valentine with the message "we love your building project". You may either "post" your message in the comments section, or send us a direct message with your Valentine greeting! From everyone who posts a valentine to us, your name will be entered into a chance to win a Valentine's Gift Basket! We've been so very busy with things that it's been awhile since we've been able to do something fun like this, but we want you to know that it's YOU that we love and our building project is for YOU! 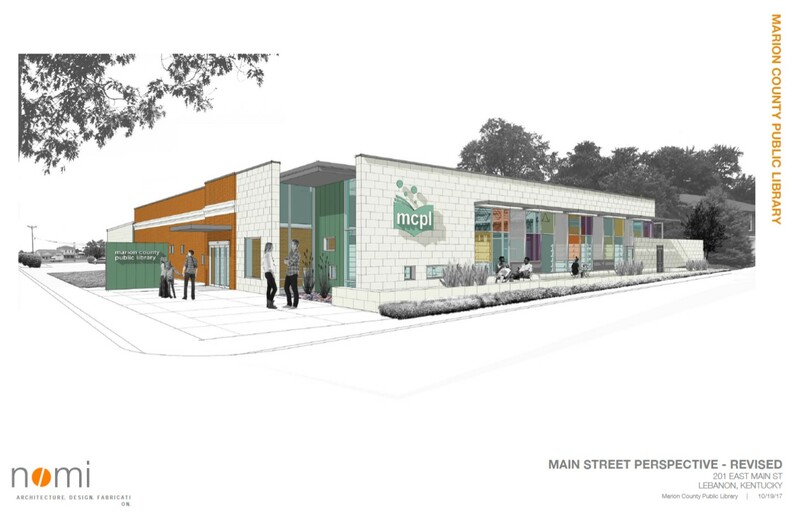 There are so many wonderful things to love about YOUR Marion County Public Library and the new space, programs and services that we'll have to offer. Be sure to show us some love on Valentine's Day!